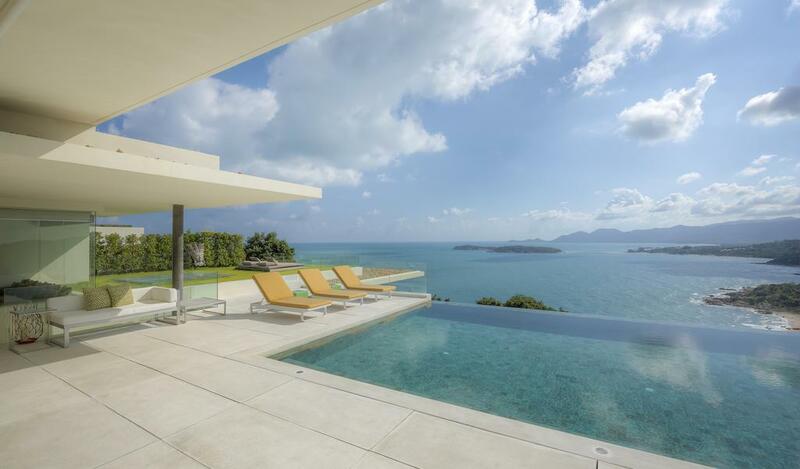 The entrance to this villa is dramatic with steps that open out to the spectacular view of the sea and nearby islands. 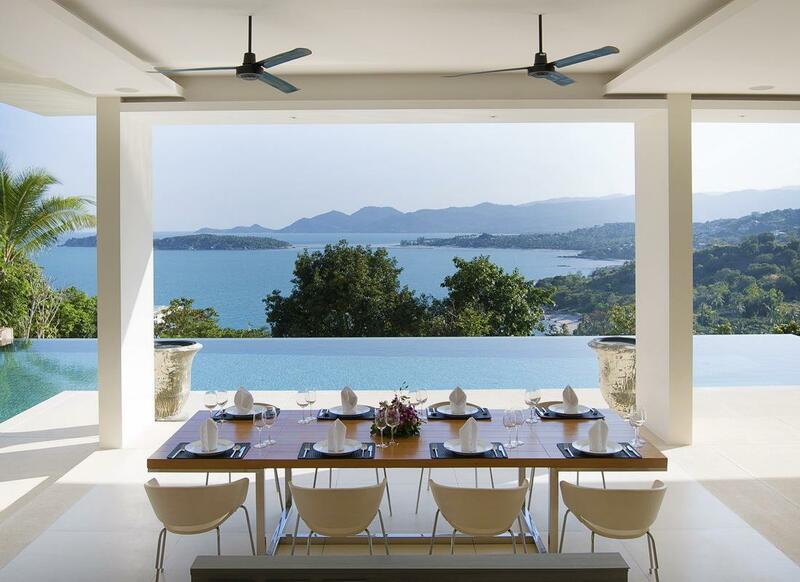 Boasting an expansive living space and Samujana signature reflecting pools, your first impression of this villa will simply stun you. 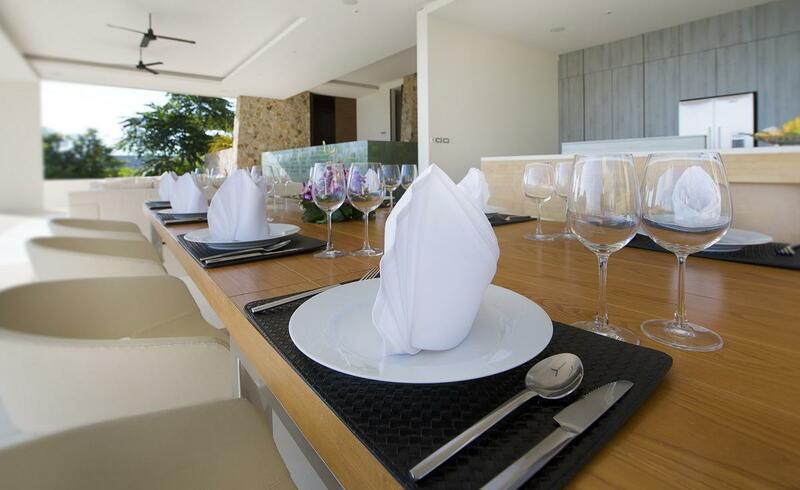 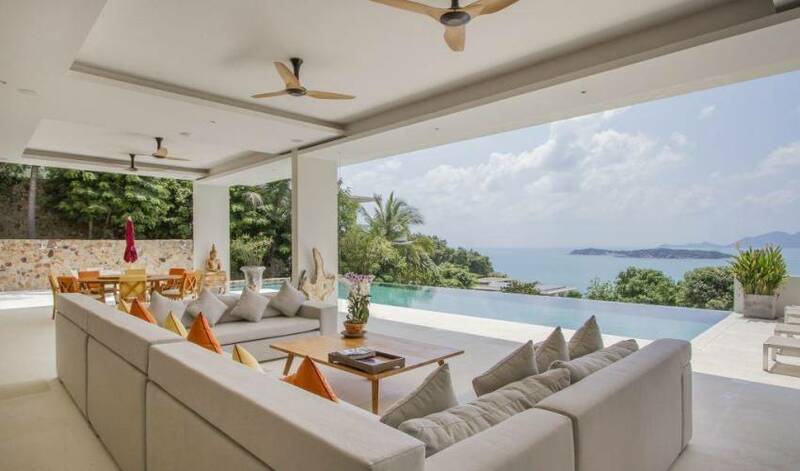 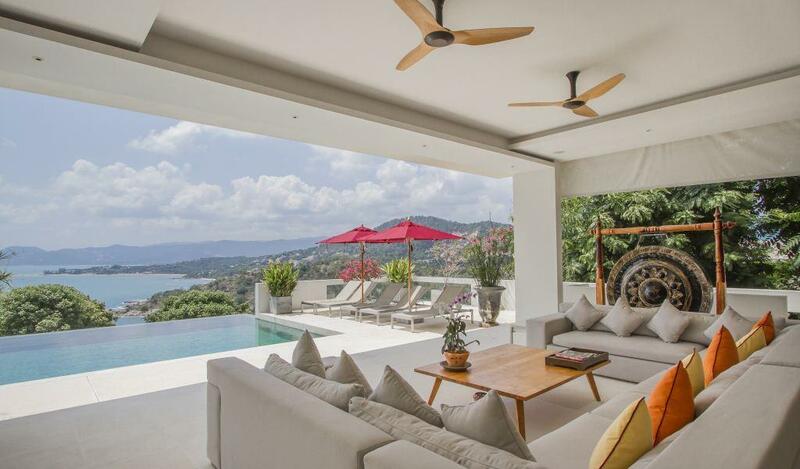 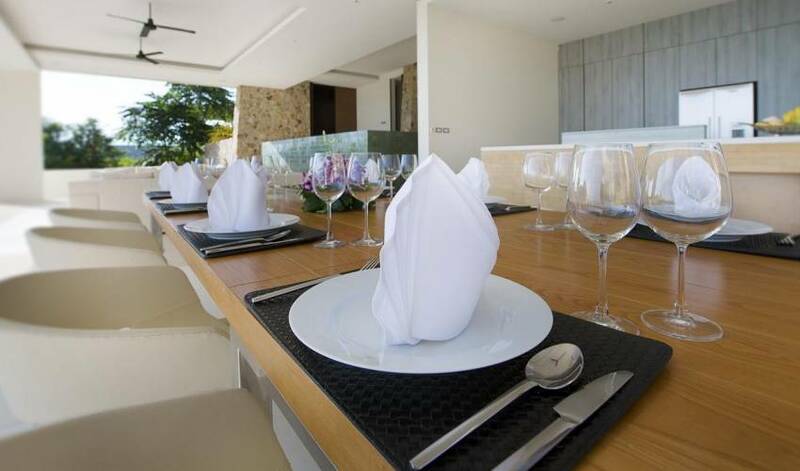 The villa offers five bedrooms arranged with private terraces and sunny daybeds. 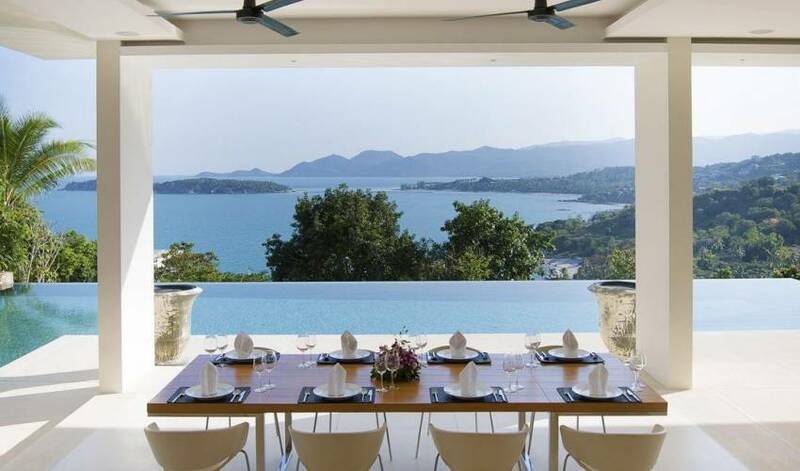 The cleverly designed professional grade kitchen allows you to enjoy the view from all angles. 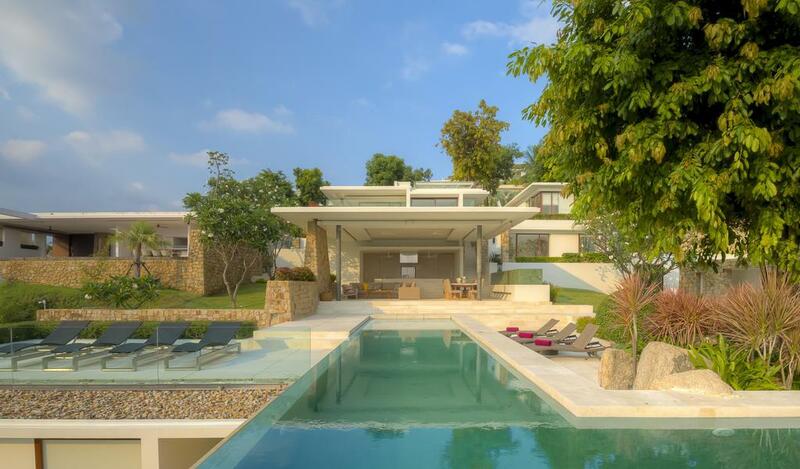 This villa is complete with a private cinema and one of the largest pools on the estate and is an entertainers dream. 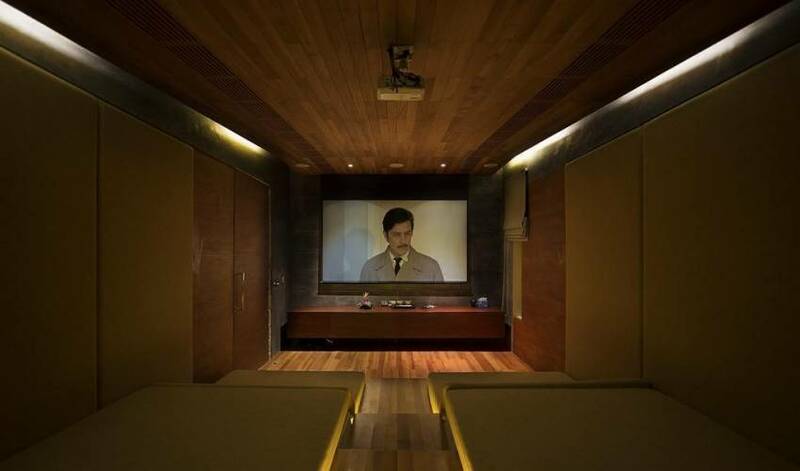 Private Cinema: Kick back and relax in an air-conditioned private cinema that will be sure to impress and entertain your family and friends. 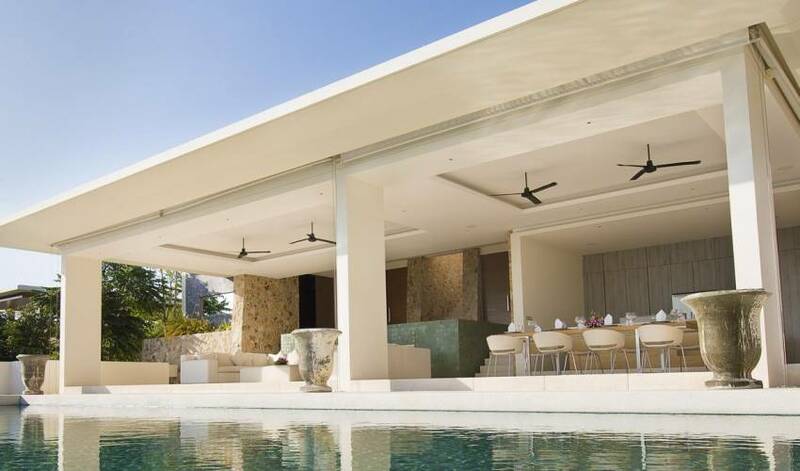 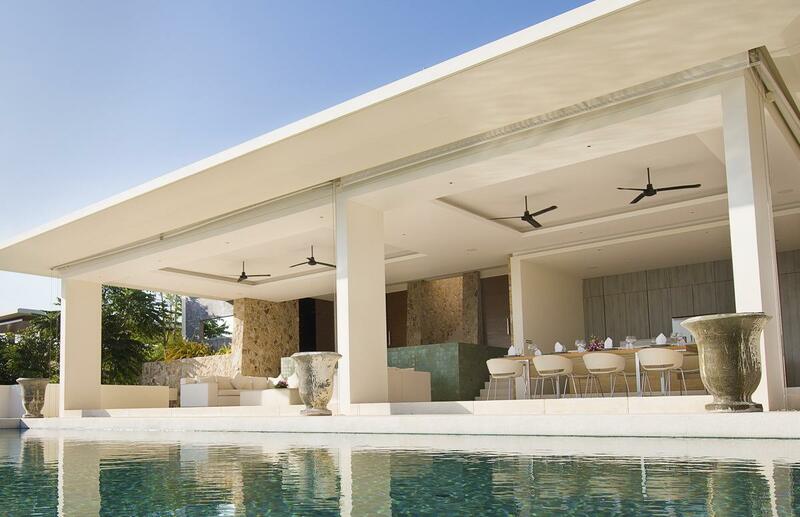 Large Infinity Pool: This villa boasts one of the largest infinity pools within the estate. 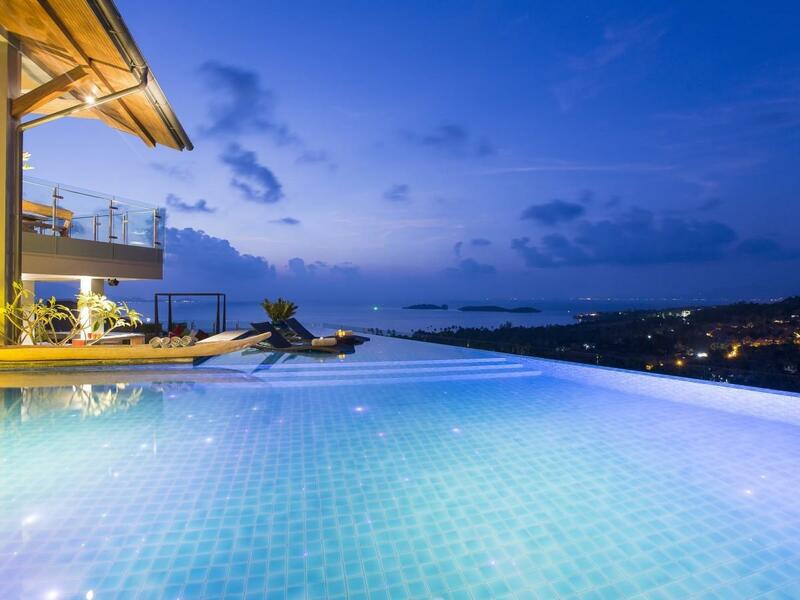 The perfect place to take a dip, swim some lap and for the kids to play. 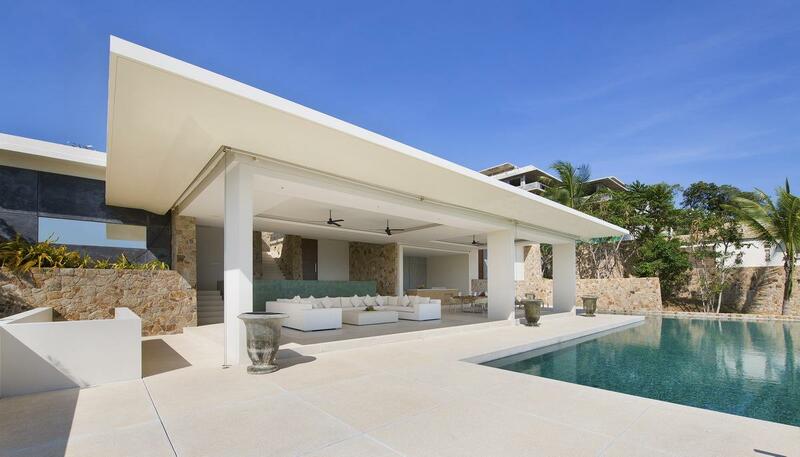 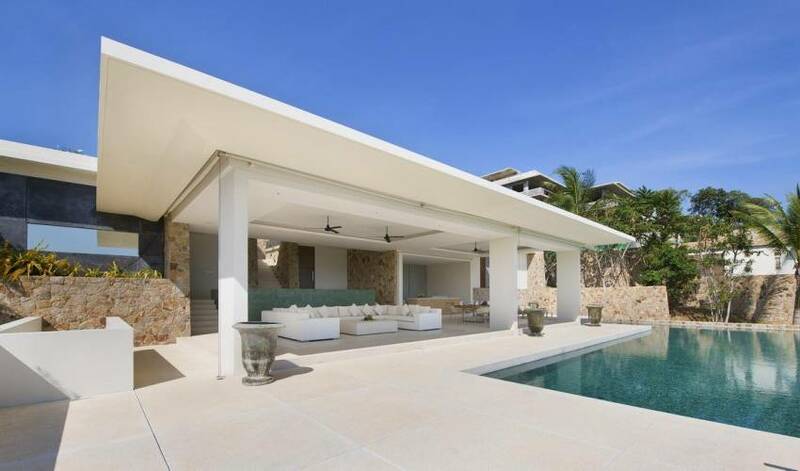 Expansive Living Space: With five bedrooms all with private terraces and large areas to relax, this villa is perfect for all occassions.